Your health and happiness is our priority at Hill Country OB/GYN. We would like to take a moment to say thank you to our wonderful patients. It is our privilege to walk through all phases of life with you. The New Year is a time many of us set health-related goals to achieve. 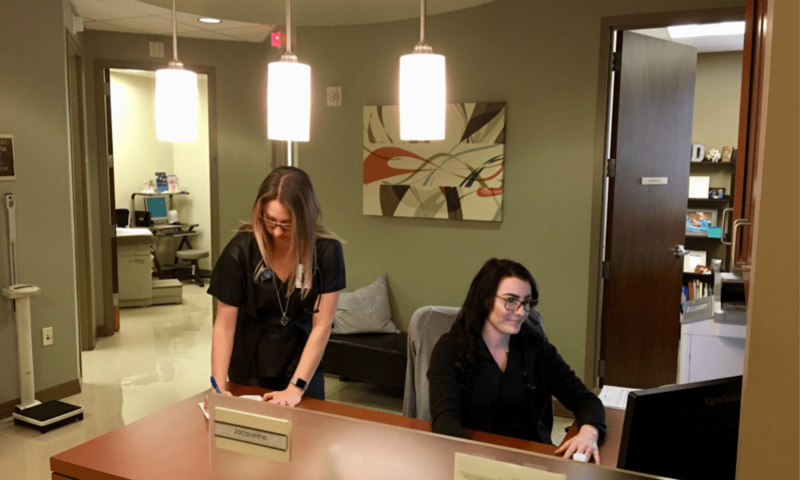 Scheduling an Annual Well Woman exam with your Ob/Gyn provider at Hill Country OB/GYN is an excellent way to stay on top of your health and wellness for 2019. 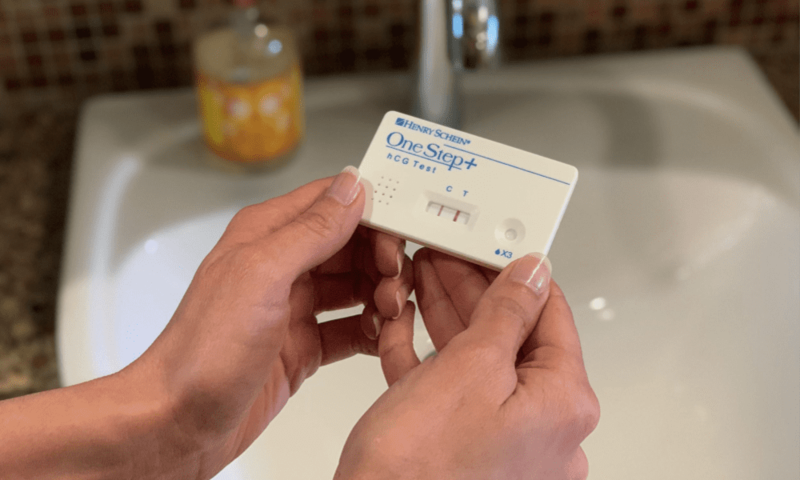 A Well Woman Exam is a visit spent primarily on preventive health care. Screenings, immunizations and counseling are based on age and risk factors. For our younger patients an Annual Well Woman is a time to address contraceptive options, screening for sexually transmitted infections, family planning, vaccinations and cervical cancer screening. 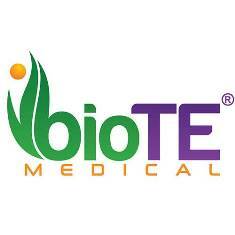 We can also address preconception and genetic counseling. As our patients mature we can address menopausal symptoms such as vaginal dryness as well as screening for cervical cancer, breast cancer and osteoporosis. 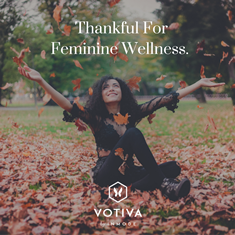 If your health and wellness goals for 2019 include hormone replacement therapy or vaginal rejuvenation we offer those services as well. Your Ob/Gyn provider can help guide you through a wide variety of women’s health issues. We hope to see you in 2019! Wishing you all health and happiness this year. 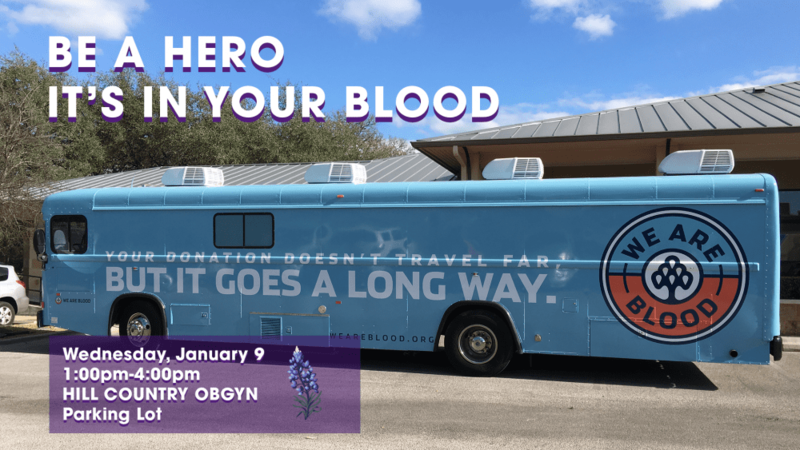 This January, Hill Country OB/GYN celebrates National Blood Donor Month and recognizes the lifesaving contribution of blood donors by hosting a blood drive. Our blood drive is Wednesday, January 9, 2018 from 1pm-4pm at the Brodie Lane location. Come lend a helping arm and save local lives. It's easy, just make an appointment online. We'll be stationed in the Parking Lot at the Brodie office. Walk-ins welcome! If you have eligibility questions, check out We Are Blood's website. If you have more specific questions or would like assistance signing up, call We Are Blood at 512-206-1266. For questions specific to our drive, contact Renee Hernandez at r.hernandez@ahcobgyn.com, (512) 610-8422. *Remember! Eat a full meal before donating and bring your photo ID. In observance of the New Year's Day Holiday, Hill Country OB/GYN Associates will be closed on Tuesday, January 1, 2019. We will return to normal business hours on Wednesday, January 2, 2019. If you have an emergency, call (512) 323-5465 to reach the physician on call; or CALL 911.